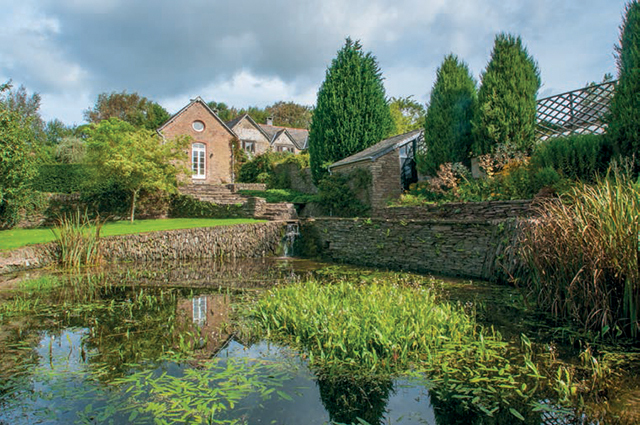 A magnificent 17th century property set in beautiful gardens and grounds. 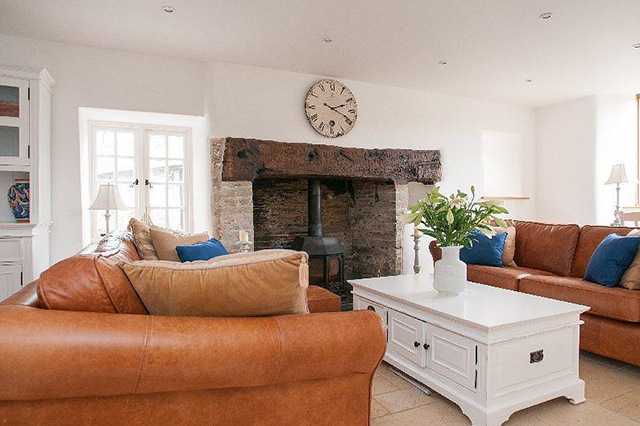 Rescued in the 1990s, this charming family home has been painstakingly restored and maintained, and the sale provides a rare opportunity to acquire this historic and interesting house. The property is located in wonderfully secluded position, approached by a principal drive that follows the contours of the grounds before arriving at a courtyard in front of the house. A pair of wrought iron gates open into an enclosed garden and a formal parterre. From thee garden, an original 17th century studded front door opens into the cross passage from which the main reception rooms are accessed. On the ground floor the accommodation comprises the main hall, a drawing room with an open fireplace with oak bressumer beam, dining room with another open fireplace with oak bressumer beam and fitted wood burning stove, an open plan kitchen/breakfast room with adjoining living room which looks out over the parterre, a laundry room and a cloakroom. A door from the dining room leads through into the garden room from which French windows look out onto the west facing and protected terrace, an ideal spot for barbecues in the evening. The first floor, approached by two staircases, features the master bedroom with its own bathroom and dressing room. A further 3 further bedrooms can be found on this floor, one with an en suite bathroom, and finally a family bathroom. 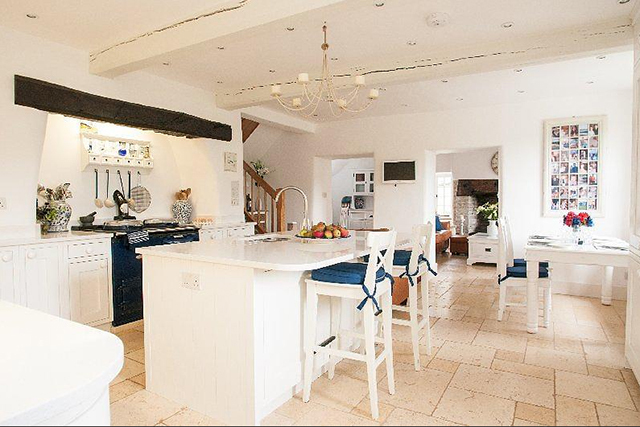 The property also boasts an integral cottage, linked by the garden room, featuring an open plan kitchen/living room, 2 bedrooms and a bathroom. Beneath the cottage is a 1 bedroom studio apartment, providing further auxiliary accommodation. 33 acres of beautifully maintained mature gardens and grounds surround this splendid old manor house. The principal gardens and formal parterre are enclosed by stone walls strewn with flowering climbers including a wisteria on the front of the house. To the west is a level lawn with traditional terraced beds, a yew walk and stone steps that lead down to the old pond and an orchard. 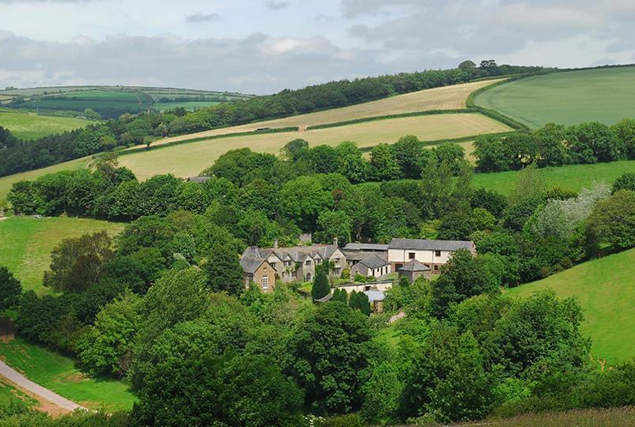 Ranscombe Manor is situated near the market town of Kingsbridge, a bustling market town boasting a good selection of specialist shops, two main supermarkets and other excellent amenities including a much sought-after primary school. The Kingsbridge estuary is about 1.5 miles to the West which leads down to Salcombe (6 miles) and the sea. The local area is perfect for those keen on watersports. The coast is within easy reach with excellent sailing at Dartmouth (13 miles) or Salcombe (6 miles) and beaches at Thurlestone (5 miles), Slapton (7 miles) or Blackpool Sands (13 miles). For those that prefer dry land, there are local golf courses at Dartmouth, Bigbury (7 miles) and Thurlestone. The guide price is £3m. For further information please contact Marchand Petit on 01548 857 588.